Training and empowering church elders and members among the solutions, leaders say. Top Seventh-day Adventist leaders across the Inter-American Division (IAD) church region have taken a hard look this week at finding a way to reach more believers with the truth of the gospel throughout the territory. The goal is for the growth of the church to keep on a straight upward path. Leaders reported that for more than 15 years, the growth of the church in the IAD has not reached 200,000 new members in a year like previous years. Also, fewer members are actively involved in the missionary work of giving Bible studies across the region’s 42 countries and islands. There are approximately 307 million people in the division territory. The challenge is to connect them to the gospel with the help of 3.7 million Adventist church members – a little over 1 percent of the territory’s population. The task is enormous but not impossible, church leaders said. 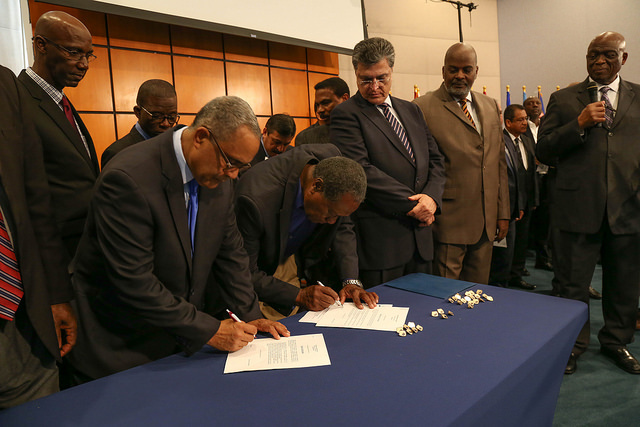 It’s about changing the paradigm that pastors and local churches have been following for years, said Josney Rodríguez, ministerial secretary for the church Inter-America. That paradigm change has to first take place with each local church pastor and the local church elders. “Our church culture needs to change,” said Rodríguez. 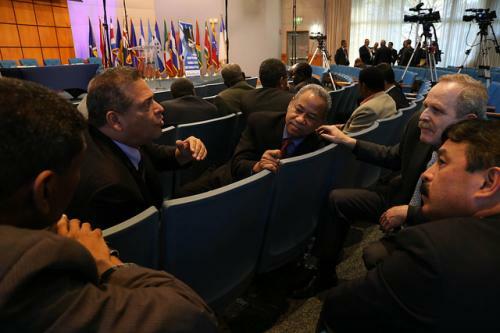 “It’s all about going back to the basics and focusing our attention on engaging the membership in discipleship.” That will only be possible as the pastors and elders unite across the more than 22,000 congregations in Inter-America to involve each member in fulfilling the mission. And it can only happen when the pastor takes more time in discipling the members to be disciple-makers, so they, in turn, can go and preach, teach and baptize new believers as Jesus commanded, said Rodríguez. While visiting Inter-America’s major church regions, Rodríguez found that pastors are spending more time in administrative duties—making calls, preparing events, working on reports, and preaching, but very little time spent visiting members and almost no time teaching. “What the new model needs to show is for the pastor to spend the most time teaching, or discipling, the members…teaching them how to make more disciples,” said Rodríguez. 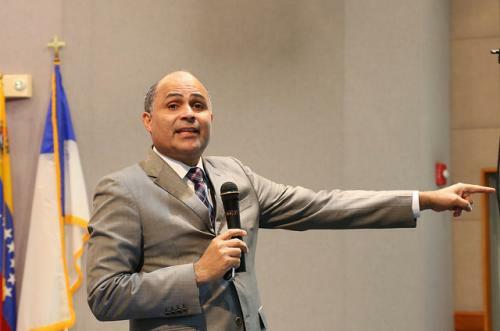 It will be accomplished when the more than 3,200 pastors and 30,000 church elders capture the new vision of discipleship, mentoring, and motivating the membership to share the gospel in their communities, said Rodríguez. An initiative is already in place to train church elders to better assist overworked pastors in shepherding the church members. “The pastor is not just there to preach but to form disciples of all believers,” he said. Arturo King, church president in the North Mexico region, was excited to see that the church is acknowledging the current reality. He too has seen a decline in baptisms within the 1,204 churches and congregations in his territory in the last few years. “I strongly believe that the most important task at hand is to involve pastors in discipleship, so they too can disciple others,” said King. King has been visiting each of the ten fields of his territory and has seen that it’s important to keep church members involved in every aspect of the church. “We need to teach people to become missionaries wherever they are,” said King. It means every department and ministry has to work together to disciple the members, from children to the deacons and deaconesses, he said. For Pierre Dufait, ministerial secretary for the church in the French Antilles and Guiana, bringing the vision to the 80 pastors in his territory should not be a difficult task. “It may take some time to change the way pastors and elders are used to managing the church, but it will be a welcomed vision among church members,” he said. Getting all 170 churches involved in discipleship training is the formula that will help increase the growth of the church in the French territory, said Dufait. Already he has seen a drop since 2013, a year in which 1,322 members were added. Only 494 were added last year. “We feel inspired to plant this new vision in our territory,” said Dufait. Rodríguez believes that as the churches jump on board with a strong on-going discipleship program, the fruits of that investment will be seen not only in the growth of new members and the conservation of members but in greater faithfulness in tithes and offerings to further the mission of the church. “We need to keep reaching people, connecting and witnessing to the transforming power of Jesus in our lives. It’s about Christians living the experience of Christ in their hearts,” he said. Inter-American Division News & Adventist Review • Miami, Florida, United States.